After another late night in Las Vegas we wake up a bit later than expected. The plan for the day was supposed to be getting up early, and head to Bakersfield, California for some disc golf, then off to Sequoia and Kings Canyon National Parks. Since we didn’t get up until check-out time we get to work on plan B. After some discussion we decide to just spend another night here in Las Vegas, and hit Bakersfield tomorrow on the way to Yosemite. 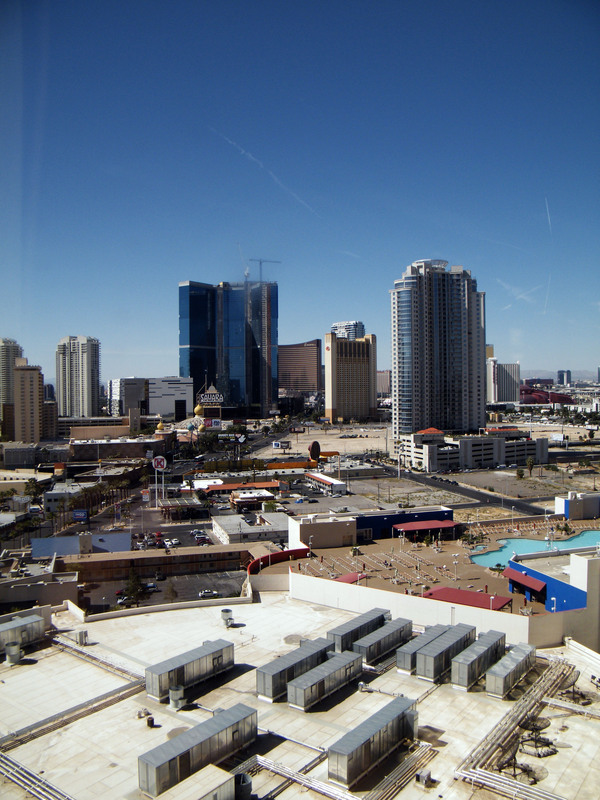 We quickly book a room at the Golden Nugget in Old Vegas and then hit the town. We get checked into the Golden Nugget around 4:00PM and spend the rest of the night on Fremont Street gambling and taking in the shows. Today we made it up at a decent hour and get on the road. Our first stop is Hart Park in Bakersfield, California for a round of disc golf before heading up to Yosemite National Park. We arrive in Bakersfield around noon. We play a round of disc golf on the Suicide Flats Disc Golf Course and then head north to Yosemite. After hitting some traffic and stopping for some supplies we arrive Oakhurst near Yosemite, just after dark. We start to make our way from town up to the park, but decide we would be better off just grabbing a hotel room back in Oakhurst and waiting until morning before driving up to the park. We turn around, grab a cheap room at one of the budget hotels, and crash for the night. We were up and out of the hotel by 8:00AM this morning. The drive up to Yosemite is pretty interesting, it is down to one lane for about ten miles, traffic is ridiculous. After a couple of hours in the car we finally reach the park. The park is amazing, I have never seen anything so beautiful. Around every corner it seems there is another waterfall, we picked a great time to come. We make our way through the valley and find our campground. We get checked-in, set up our tent, and carefully placed all of our belongings into the bear-proof box. Once our campsite was in order, we jumped back in the car and head out to explore the park. We drive out through the valley stopping every chance we get to take in the amazing sights. From here we decide to head on up to Hetch Hetchy Reservoir. The drive up to the reservoir was really nice, sun was shinning and the sky was blue. As we arrive at the reservoir it starts to rain, by the time we are out of the car the rain had turned to snow. I grab my jacket and we decide to stick it out and at least walk down to the dam, by the time we reached the dam the snow was gone. We decide to go ahead with the hike to Wapama Falls, we cross the dam, walk through the tunnel and start-up the trail. The hike is one of the most beautiful I have ever seen. Waterfalls, wildlife, and the reservoir down below, it was truly incredible. We hike past Tueeulala Falls, and make it about a half mile from Wapama before the sky darkens back up and the rain comes. With safety in mind we reluctantly head back towards the dam and the car. We leave Hetch Hetchy and head back to the Yosemite Valley. We cook some dinner on the campfire and head to bed. We wake up to a very cold morning in the Yosemite Valley, grab a quick breakfast, and pack up camp. We have the morning to explore the park before heading to the coast this afternoon. 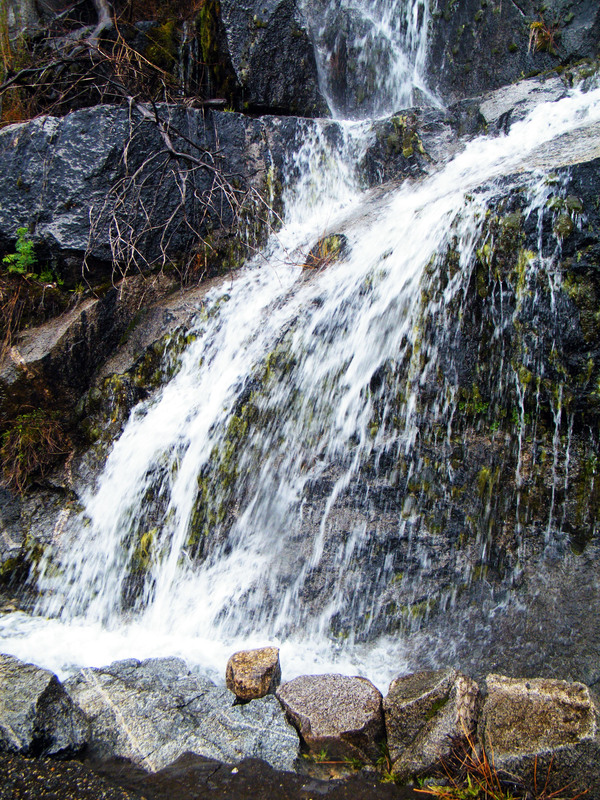 We check out Bridalveil Fall, Yosemite Falls, and a few other scenic spots throughout the valley. It is amazing, so full of life, we spot a coyote in one of the meadows and a family of bears wandering through the forest. This is the first time I have ever seen a bear in the wild, let alone a mom and her cubs, it was beautiful. From here we head out of the park and west towards the coast. We take CA-140 through the town of Merced and head south before continuing west through the small town of Los Banos. Within a few hours we arrive at the Pacific Coast Highway and the beautiful California coastline. We drive south down the PCH through Monterey and into Big Sur. I can’t believe the views. 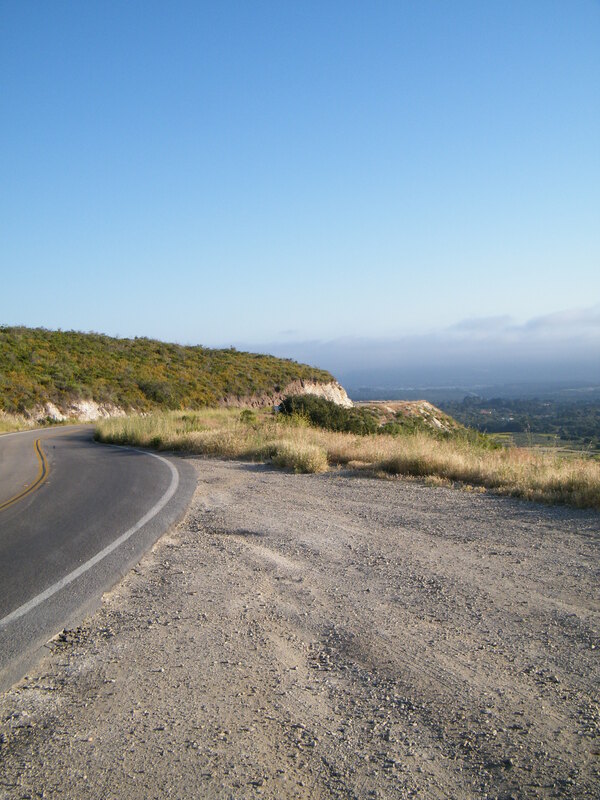 The drive itself is a little intimidating, near hair-pin curves along the cliffs high above the Pacific Ocean, all the while trying to go fast enough that the locals behind you don’t run you over. Definitely not a drive for the inexperienced or easily distracted. 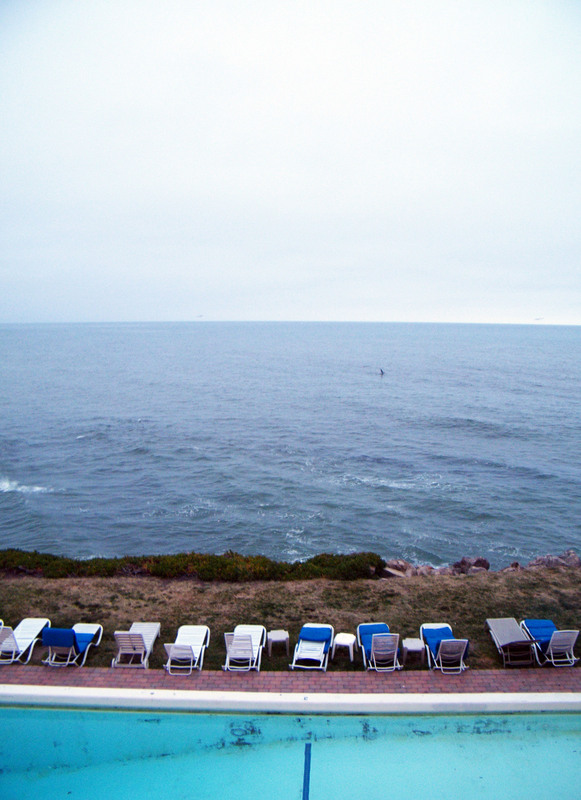 As we make our way down the PCH we notice the overcast sky and are slightly disappointed. Even more-so when we arrive at our campsite at Kirk Creek Campground in the Los Padres National Forest. The campground itself was great, the campsites, at least ours, is a little small. More than that though is the weather, overcast and cold. Of course we have no fire wood, we were under the impression fires weren’t allowed, so the rest of the night was looking down. We decided to wimp out, after all it’s vacation and we are suppose to be enjoying ourselves, and head south to find a hotel for the night. We ended up driving for nearly an hour, but we finally find a hotel in San Simeon and crash for the night. We get up and start making a plan for the day. Originally we were to stay at Kirk Creek again tonight, but with the weather, and the fact that we are now a decent drive south of there, we decide to change the plans. After some discussion we decide to go ahead and continue south, play some disc golf and just grab another hotel room tonight. We start out in San Simeon with our first destination being Waller Park in Santa Maria, California. We leave the hotel around 10:00AM, grab some breakfast and arrive in Santa Maria around 1:00PM. We play the wonderful course at Waller Park then head over to the course and Preisker Park. From here we head out of Santa Maria south on the PCH to Santa Barbara. We drive around and take in the sites around the beautiful coastal town before getting to work on finding a hotel room. As it turns out, there was nothing available in Santa Barbara. We head south out-of-town and ended up in Ventura before we found a place that was both available and affordable. By this time its pretty late so we get to sleep for the night. Waking up around 7:30AM we quickly grab our stuff and get out of the not so glamorous hotel room we stayed in last night. We head back up to Santa Barbara to play the disc golf course. The course was cool, old school type course with a nice flow and good vibes. From there we grab some lunch and head to the hotel for the night, The Cliff House Inn. We arrived a couple of hours early, but they were more than willing to let us check in early, at no cost. The hotel itself was pretty old, but the service was good, and the views of the Pacific Ocean and the surrounding mountains was beautiful. We get checked in, shower, and then hit the road to explore the area. After a nice drive and some dinner we return to the hotel to get some rest for the night. Today we got up and grabbed some breakfast at the hotel before hitting the road. After breakfast we packed our bags, tossed them in the car, and hit the road. We drive south down the PCH, the weather is still bad, overcast and rainy, but we make the best of it. We head towards Ojai to Lake Casitas, our hopes is that it’s not raining up there so we can play the amazing disc golf course at the lake. Unfortunately its still raining when we arrive, so we decide to put off playing the course until tomorrow. Instead we head into Ojai and check out the town before taking the scenic route back to the PCH and continuing south to Point Mugu State Park. Once we arrive at the park we head to Thornhill Broome Beach Campground, pick a site and set up camp. After we get the site cleaned up, and the tent up, we head down to Malibu to grab some food and beverages. After dinner the rain rolls in again and we retire to the tent for the evening.